ABS-CBN Lingkod Kapamilya, Bayan Academy and Phoenix Petroleum are all set to launch the Pinoy Tsuper Hero 2017. National Awarding on May 11, 2018 at the ABS-CBN Dolphy Theater. 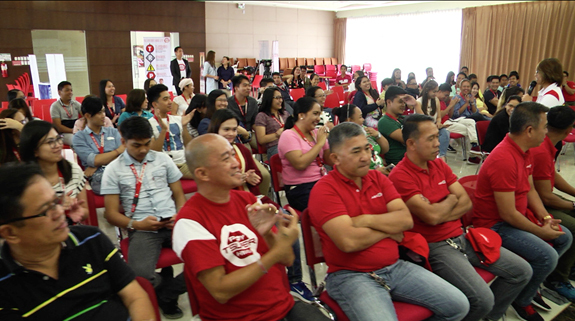 Phoenix AVP for Corporate Communication and CSU, Debbie-Uy Rodolfo explained how Pinoy Tsuper Hero started during the Road to Grand Finals recently held at the Phoenix Petroleum Davao Headquarters. “Pinoy Tsuper Hero is the brainchild of our founder and CEO, Dennis Uy. During Typhoon Pablo, habang nanonood s’ya ng TV Patrol, nakita niya sa news na may mga jeepney drivers na kahit na may typhoon at baha, nandun pa rin sila to bring the passengers home. So doon niya naisip, mayroon ba tayong ginagawa para ma-recognize sila?” Rodolfo told. Now on its third year, the advocacy of Pinoy Tsuper Hero remains solid – to uplift the dignity of the Filipino drivers and recognize driving as a noble profession. This year’s Pinoy Tsuper Hero exceeded its expected number of nominations. From the target of 20,000; the team reached almost 32,000 nomination forms from visiting 20 strategic locations of Phoenix Petroleum nationwide. “We are very happy that Pinoy Tsuper Hero program has grown. Sana i-share natin ang inspirational stories ng ating mga Pinoy Tsuper Heroes sa ating mga kakilala, para ma-invite din nila ang ibang outstanding drivers who can join Pinoy Tsuper Heroes. Let us continue to support the advocacy of being superheroes in our everyday lives.” Rodolfo expressed. 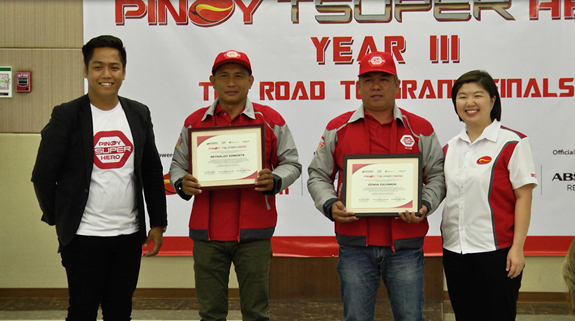 Pinoy Tsuper Hero winners; Reynaldo Samonte, a tricycle driver and an ex-military from Lipa City in 2015 and; Edwin Escamos a jeepney driver and barangay Kagawad from Iloilo City in 2016, respectively, were also recognized during the event. “Napakaraming experience ang nakuha ko dito sa Pinoy Tsuper Hero. During my military career hindi ako naging hero pero nung naging driver ako naging hero ako, pinagmamalaki ko ito habang nabubuhay ako. Sa susunod na Pinoy Tsuper Hero, kung ano po ang nagawa kong maganda, sana po mas mapaganda pa niya at mapalawak pa ang kaalaman na maibabahagi nya sa kanyang kapwa driver.” Samonte shared. The winner who will take home the title Pinoy Tsuper Hero 2017 will be announced at the National Awarding on May 11 at the ABS-CBN Dolphy Theater. Visit www.facebook.com/PinoyTsuperHero to watch the live stream of the grand finals.